This 10 years old Auchroisk, formerly known as The Singleton of Auchroisk, is the only official r.. The Glenrothes Vintage 1992 – 2004 is an 11 years old Speyside single malt from Glenrothes. It wa.. 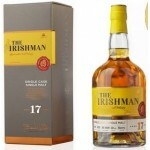 The Irishman 17 years old is an older Irish single cask single malt whisky. This single cask rele.. 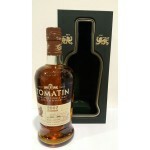 The Tomatin Single Cask 14 years old 2002 #33197 Bottled Exclusively for Bresser & Timmer is ..